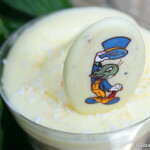 Do you remember, by chance, how much we loved the Iced Coffee Float at Auntie Gravity’s Galactic Goodies? If not, then lemme tell ya. We loved it a LOT. 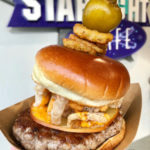 But since there’s a new sipping spot/coffee joint in Magic Kingdom’s Tomorrowland with Joffrey’s Revive Coffee Kiosk, the offerings at Auntie Gravity’s (also located in Tomorrowland) have changed up a bit. Now, don’t get me wrong. I think Joffrey’s Revive is a terrific addition to Magic Kingdom. But I have to admit I was bummed to find that one of the subsequent changes was the removal of Iced Coffee Floats from Auntie Gravity’s. So, with that, it’s time to find a different sipper from Auntie (who still serves up soft-serve ice cream, too, by the way). Fortunately, she still has a few tricks up her sleeve, as Auntie Gravity’s is one of the few spots where you can find Smoothies, available in Raspberry or Strawberry. I went with the Raspberry Smoothie which – suprise! 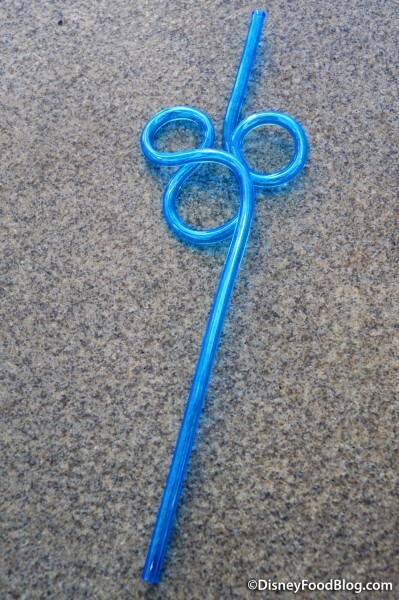 – comes with a souvenir Mickey straw (like the majority of the frozen slushy-type drinks around Magic Kingdom these days). The first thing that stands out is the deep raspberry color, which fortunately mirrors the depth of tart and sweet raspberry flavor as well. 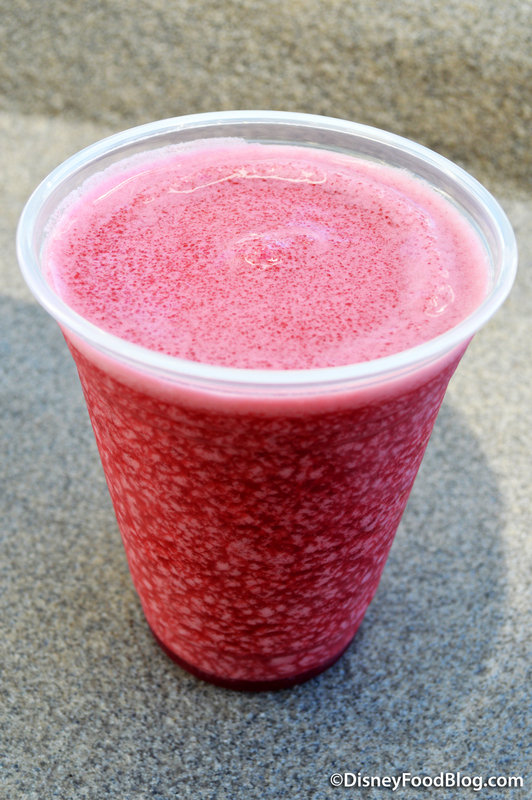 You can see that this smoothie has some of that icy goodness that is necessary on almost every visit to sunny central Florida, but you’ll be happy to know that the Raspberry Smoothie is also made with nonfat yogurt, giving this one a slight better-for-you edge over slushies sold elsewhere in the World. And it’s that presence of yogurt that makes this one a substantial snack rather than simply a drink. It could almost serve as a small on-the-go meal, in fact, with the cool refreshment as a nice added bonus. 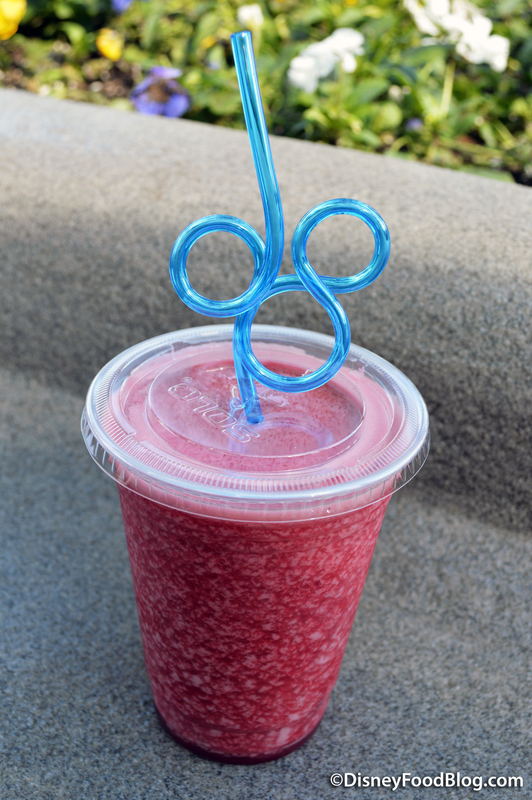 We should note that the price of $5.49 (or a Disney Dining Plan snack credit) includes the souvenir straw. Should you, for some reason, prefer not to take the Mickey straw, you will still pay the same price. 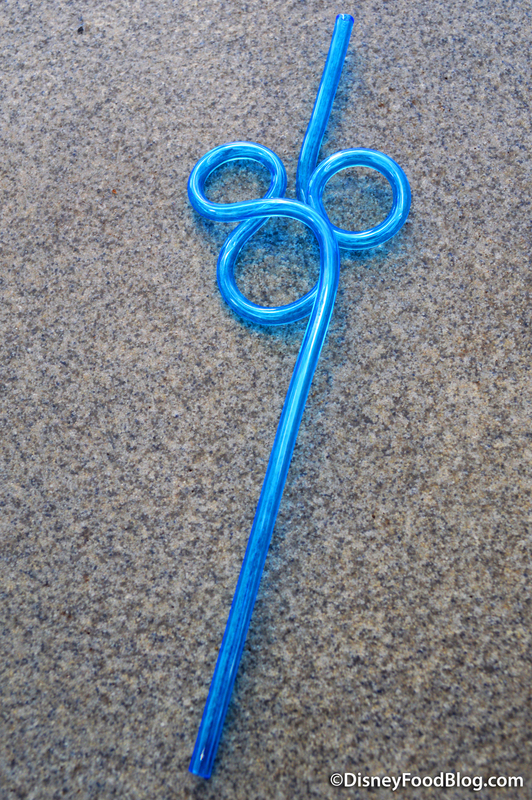 But, really, is there such a thing as too many Mickey straws? Doubt it. We’ll be on the lookout for possible additions here in light of the recent changes in Tomorrowland. Will the paired-down menu be pumped up soon with some new Galactic Goodies? Time will tell. Meanwhile, it’s good to know that the Smoothies still offer a unique reason to pay a visit to our dear ol’ Auntie. She sends her love. 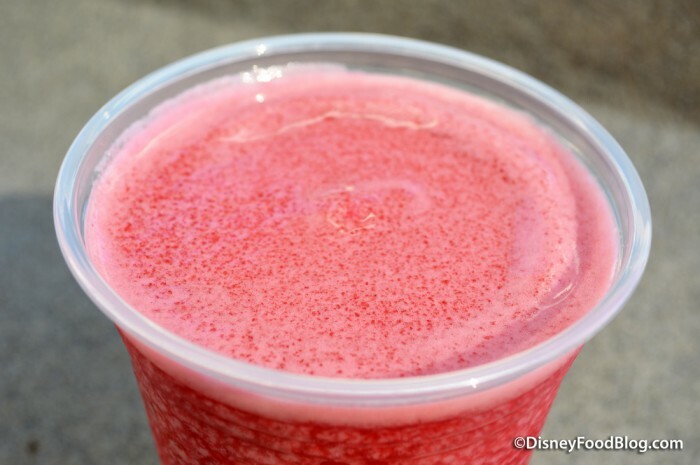 Don’t Miss Out on ALL the Magic Kingdom Snacks! The DFB Guide to Magic Kingdom Snacks is newly updated for your 2017-18 Walt Disney World Trip! 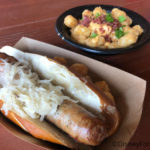 With more than 2oo color photos of our favorite Magic Kingdom Snacks, the DFB Guide to Magic Kingdom Snacks is guaranteed to help you find the best snacks and treats (even mini-meals!) 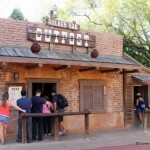 for your family while visiting the Magic Kingdom, or your money back! After all, we all know that treats at the Magic Kingdom are just as nostalgic as our first flight on Dumbo! To thank you for your support of the blog, we’re offering the Guide for 25% off its purchase price for a limited time! Order your copy now. To secure the discount, use code SNACKS17 at the check-out. 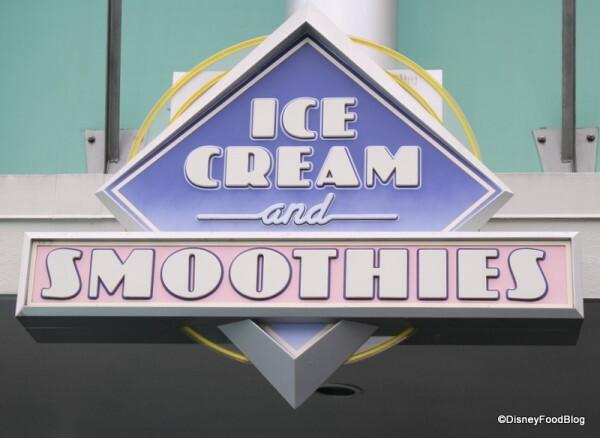 Do you grab-and-go some cool smoothies on your visits to Disney World? Let us know in the comments! NEW! 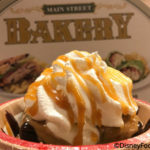 Brownie Temptation Debuts in Disney World! My daughter and I discovered these in February and fell in love! She said the raspberry one tastes just like Hagen Daaz raspberry sorbet. Pairing this with a bucket of popcorn makes for the perfect salty/sweet combo! My husband really loved the coffee floats and late lamented cappuccino smoothies at Auntie Gravity’s. He is somewhat mollified that Joffrey’s is opening in Tomorrowland, but we have been hitting AG since we first starting going to WDW together decades ago, so I expect him to continue to mumble about Disney doing away with anything they find people like. I was wondering if there are a lot of raspberry seeds in the smoothie? Thanks!